Everybody suffers when you try to diet-ize and health-i-fy everything about the holidays - including you! I have 10 tips to help you stay healthy, and happy, this holiday season! I love getting creative in the kitchen. And I love a good home-cooking recipe turned healthy through a little tweak here and there. But you know what I don’t like? When people try to diet-ize classics. Hey, if it’s a completely new creation like a pumpkin spice…whatever (who doesn’t like all things pumpkin spice!?) FILL YOUR BOOTS. But for goodness sakes, some things (like Great Grandma’s Pumpkin Pie) are sacred! Can I get an AMEN?! 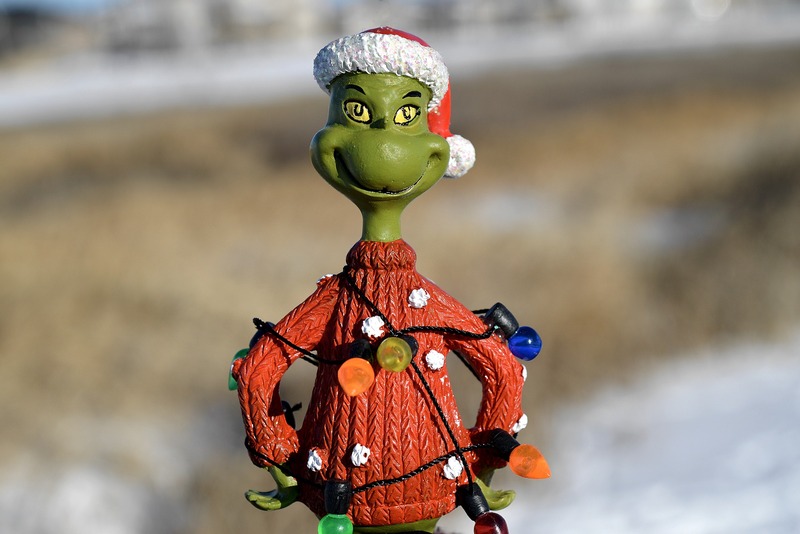 Having a healthy holiday does NOT mean stealing the joy (don’t be a Grinch)! Savour the ones you do. Slow down. Chew thoughtfully. Really taste all the flavours and experience the food. Mmmm. The slower you go the longer the amazingness lasts! Bonus: you are less likely to over-eat if you slow down because your brain and stomach have the time they need to communicate! Move. Surprise, surprise. I know. But really – I know traditional workouts may not be on your radar over the holidays…but that doesn’t mean you can’t move a little. Do what you can! A quick power walk between stores while shopping? A dance party in your living room? A 10-minute stretch before bed. All totally do-able! And your body will thank you for keeping things moving. Focus on family and friends – not food. There are lots of lovely food based traditions when it comes to holidays. Special foods, gatherings centred around food, food traditions. It all leaves us feeling..when, what and how will we eat?! Instead focus on the people you’re with – think of the non-food focused things you can do together. Play a game, reminisce, go for a walk or ice skating at the local rink (some may even have the rink decorated!). Take a step back and remember that this season has more to celebrate than yummy cookies and delish bevies. Don’t go hangry. Speaking of food based celebrations…don’t under eat before you go! We never make good decisions when we’re under-fed! Just think of the last time you grocery shopped hungry – I’m willing to bet things made it into your cart you didn’t have on your list! Eat mindfully the day of the celebration – leave room for your faves but not so much that you get hangry! This tip applies to holiday shopping too. Holiday shopping in the busy mall is never made better by being hangry. Alert! Alert! Proceed with caution! Drink up (not just egg nog). Enjoy your fave bevies – and also make sure you’re drinking hydrating beverages too. Water, water infused with strawberries and mint (ohhh. festive! ), sparkling water with some frozen cranberries (pretty!) or lovely herbal teas (there are some really nice ones available through David’s tea that are quite festive). Remember the 1 for 1 rule. For every “fun” beverage, have one hydrating one. Bonus: you’ll thank me tomorrow. Out of sight, out of mind. Put the yummy treats and holiday cookies away. In opaque containers or in the cupboard, or both! I keep our holiday baking in the deep freeze in our garage (all the way downstairs) and only pull it out a plate at a time when I entertain. If I’m willing to trek down to the cold garage for a frozen cookie- obviously I REALLY wanted it. PS. There’s some cool science to this one. They tested it at Google headquarters using M&M’s. When they were in a clear container the staff ate more than when they were in the opaque container – FASCINATING! Have food, will travel. If you’re travelling, pack healthy snacks for the road or flight! If you’re travelling within borders pack some fresh fruit and veggies and maybe a small to-go container of hummus. Handy AND saves you the million dollars the airline will charge you. Don’t forget your refillable water bottle for the airport too! Most airports have handy filling stations situated after security! Get your ZZZ’s. I know this is tricky with busy holiday schedules, party’s and social engagements – but do your best to get the recommended 7-9 hours per night! When you’re well rested not only do you feel better, but you’re hunger and satiety hormones (Grehlin and Leptin) are better able to stay in check (bonus)! And, if needed, there is research to support the benefits of a mid-afternoon nap to boost your alertness, cognitive function and mood. Permission to NAP, granted. Ahhh. Holiday nap anyone?! Practice kindness. Be kind to others – and to yourself. Do a random act of kindness. Random acts of kindness not only boost the happiness of the recipient, they boost YOUR happiness too! And when it comes to being kind to yourself – remember that health isn’t about being perfect. It’s about staying in the practice – one you define for yourself. A few little indulgences along the way won’t undo all the other awesome choices you’ve made. Focus on what you can and are doing – and remember that the holidays are relatively short – so enjoy them! May your holidays be truly merry and bright. From my family to yours all the very best for your holiday season!